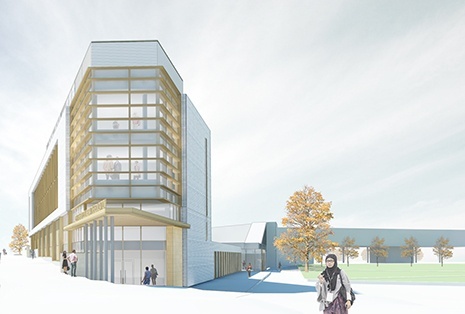 Montgomery Sisam and Architecture Counsel Inc., as part of Eastern Construction’s team, have been awarded the Durham College Centre for Collaborative Education. The Entrepreneurship Centre including the Spark Centre. Global, Open and Collaborative Space that will enable faculty, students and the broader community to use technology in creative ways to gain unprecedented access to students, educators, thought leaders, subject matter experts and other visionaries from more than 40 countries around the world. Health science facilities including state-of-the-art classrooms and labs. Foundation programs designed to prepare students for the continuation of post-secondary education at college or university.